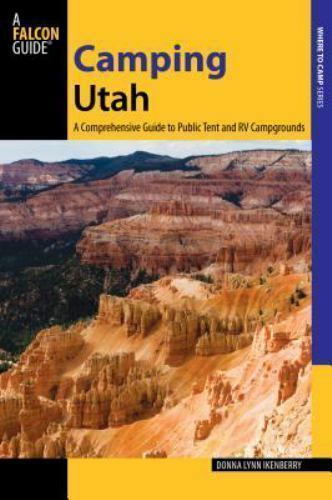 This updated guide to more than 300 public campgrounds in Utah is perfect for tent and RV campers alike. Within each campground listing is vital information on location, road conditions, fees, reservations, available facilities, and recreational activities. The listings are organized by geographic area, and thorough site maps and an index of campsites help simplify the search for the perfect campground. Utah has everything from snow-capped peaks to vast red rock to the Great Salt lake and more, and Camping Utah opens the door to these places. Paperback, 2014, 292p. : ill.; 15x23 cm.